CraftygasheadZo: It's Oval to you! It's Digi Choosday time and as always I'm here to share my DT make with you all. This challenge made me dig out some crafty stash I've not used for a while. 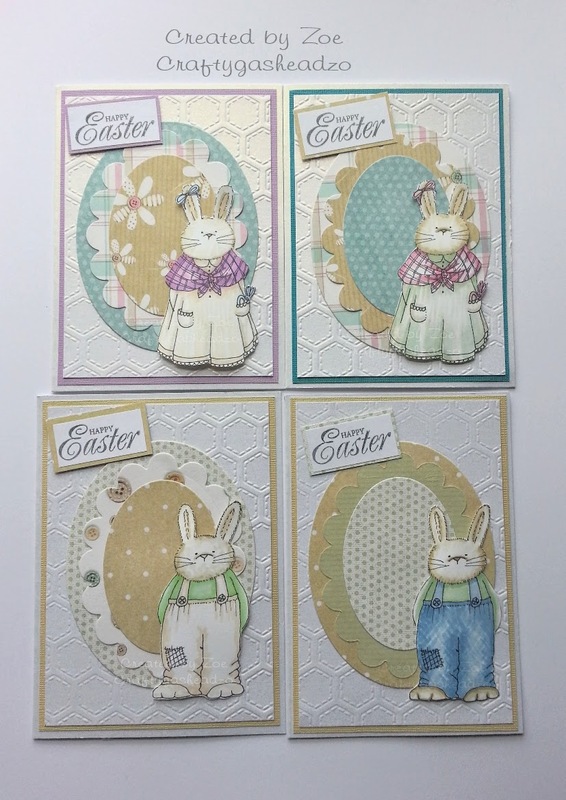 I decided to make a set of Easter cards and this allowed me to use my oval dies that I've not touched for ages! 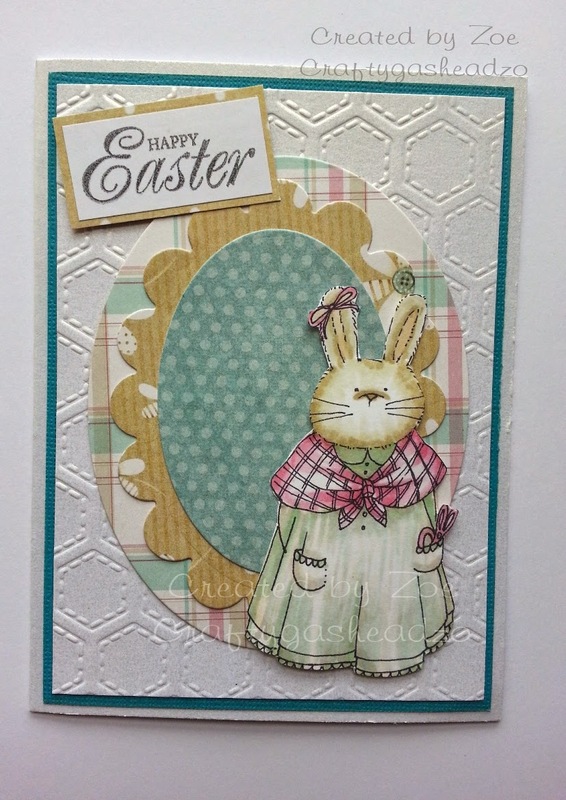 I went through my scrap paper pile as well and pulled out enough paper to create the oval egg shapes on the front of each card. 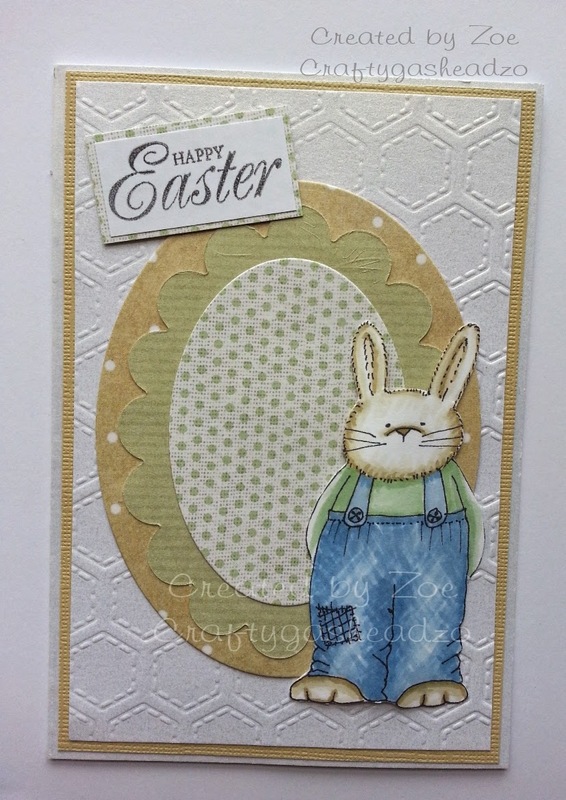 I created a simple background using an embossing folder. The characters I used are from Cherryblossom Lane collection & they are also available to download separately as Maisie and Wesley I coloured them both with my Graph It markers. I kept them all soft in tone and Spring like I hope! I will be giving these to family and friends so I hope they like them! 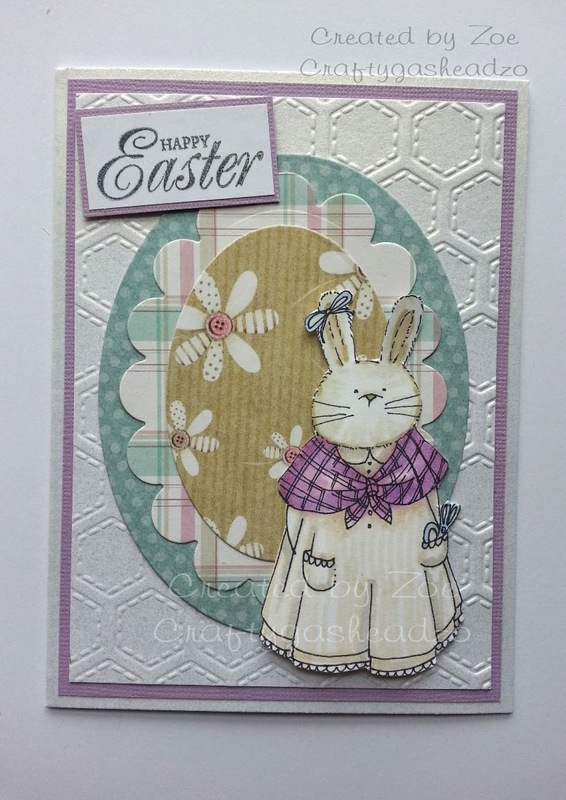 Very pretty Zoe, love the softness of these - Fab make for the Digi Choosday challenge! 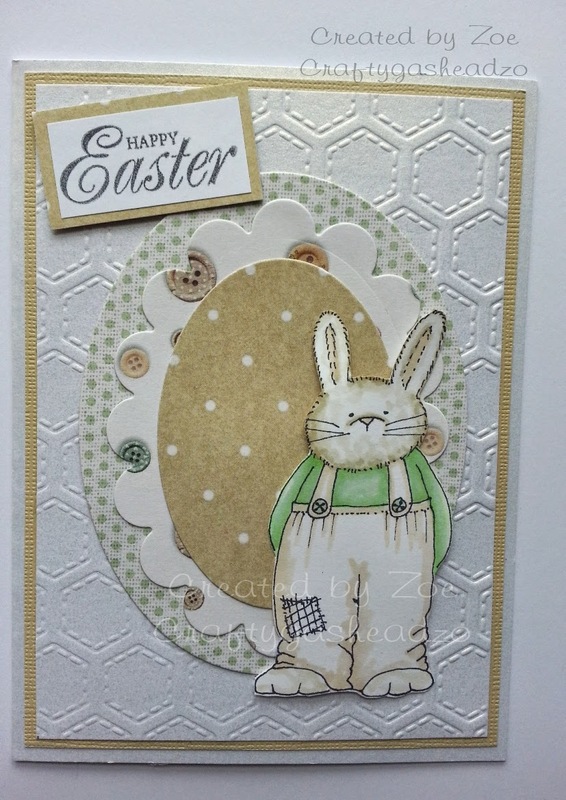 Oh Zoe these Cards are lovely, the image is lovely. Thank you for playing along with Dream Valley Challenges.